Vlak voor het verschijnen van de Voorverkoop Tenuta San Guido ontving de 2016 Sassicaia 100 (!!) 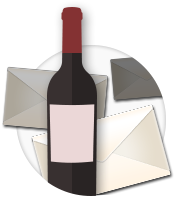 punten van Wine Advocate. "The 2016 Sassicaia is a wine of soaring achievement. I tasted this wine several times during the course of its creation in both barrel and bottle, and the highly deserved 100-point score you see here was enthusiastically assigned at the conclusion of a mini vertical in which I tasted and compared the 2016 vintage against 2015 (which I scored 97 points). It makes perfect sense to present these two excellent vintages in back-to-back comparison fashion because they are two of the best to emerge from Bolgheri, and indeed Tenuta San Guido, in recent memory. These are very similar vintages with long, hot summer months that fueled a long growing season. There was a bit more rain in 2016, and in analytical terms this vintage has a tad more acidity. However, the results in the glass are extraordinarily different. The 2015 vintage is exuberant, round, succulent and immediate, whereas the 2016 vintage shows pinpoint sharpness and precision (with similar grit and texture at the back). That acidity will carry it long into the future as the wine completes its slow evolutionary course. This wine is chiseled and sharp with blackberry, ripe cherry, grilled herb and barbecue spice. The aromas flow from the glass in a continuous stream and are all marked by radiant intensity. The mouthfeel is long and powerful. The crisp linearity of the wine's tannic backbone is perfectly measured to the volume and depth of the fruit flavors. To my mind, the 2016 Sassicaia stands tall next to the epic 1985 vintage that set the ultimate benchmark for vino italiano." - 100/100.